Spending plunged 46% to 589 million pounds, the lowest since the global financial crisis, the Society of Motor Manufacturers and Traders said in a statement Jan. 31. “Automotive investment is cyclical, but there are underlying investments manufacturers need to make to maintain productivity, to remain competitive. A lot of that is on hold,” said Mike Hawes, CEO of SMMT. 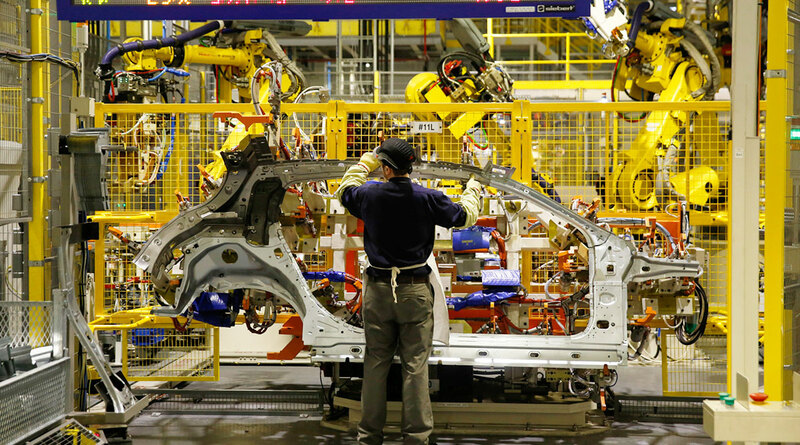 U.K. car output fell 9.1% to 1.52 million autos in 2018, a five-year low. The number of those vehicles sold in Britain dropped 16%, exacerbated by uncertainty about government policy on taxing diesel models. A continuing slowdown in overall U.K. car sales, which fell 6.8% in the year, according to the European Automobile Manufacturers’ Association, also is discouraging investment, said Stuart Apperley, Lloyds Bank head of automotive. “Without strong sales of their existing models, carmakers will find it difficult to invest in the technology that will one day power electric and autonomous vehicles,” Apperley said after publication of the SMMT figures. The slowing Chinese economy took a toll on exports, down 24% to the Asian nation and 7.3% overall. The U.K. sends eight of every 10 cars it produces abroad, with the European Union accounting for about half the total. The drop in the pound amid Brexit uncertainty has meanwhile pushed up the price of imported components, he said. In the event of a no-deal Brexit, the cost of EU-made cars would go up, Hawes said, though Britons would be unlikely to abandon brands such as BMW AG and Volkswagen AG.